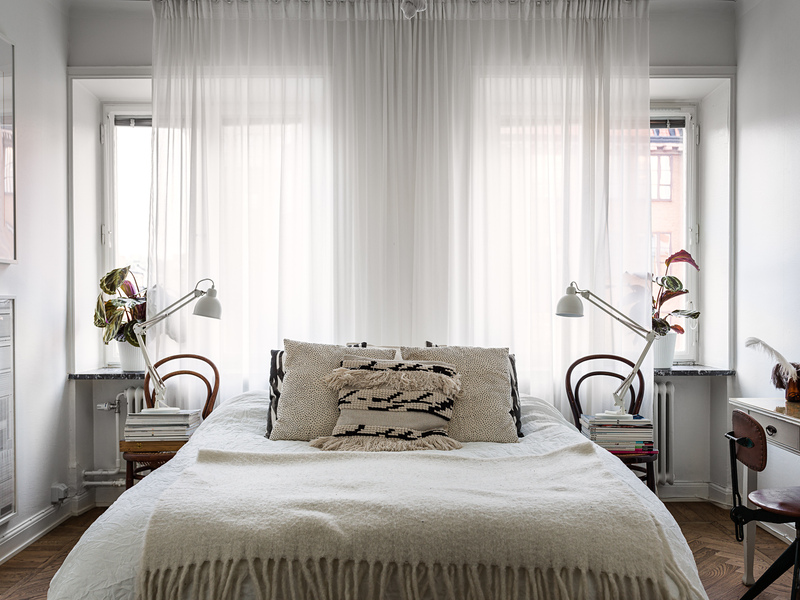 This light flooded bedroom is decorated in a very effortless way. The abundance of natural light coming through those large windows is filtered by these floor to ceiling and wall to wall curtains which also give the space a chique hotel vibe. The two bentwood chairs next to the bed serve perfectly well as bedside tables and I love the small vintage desk against the wall.